During the 1850's and 1860's the government attempted to open up the districts lying north of the settled townships by means of "Colonization Roads". Free land was offered to persons who would settle along the route, clear a stated acreage and help maintain the road. 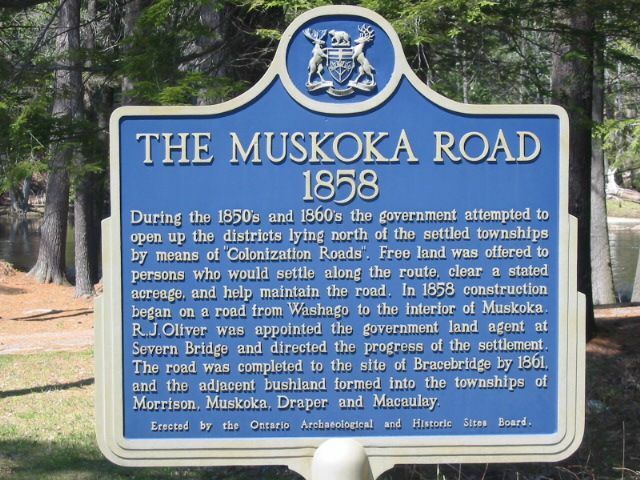 In 1858 construction began on a road from Washago to the interior of Muskoka. R.J. Oliver was appointed the government land agent at the Severn Bridge and directed the progress of the settlement. 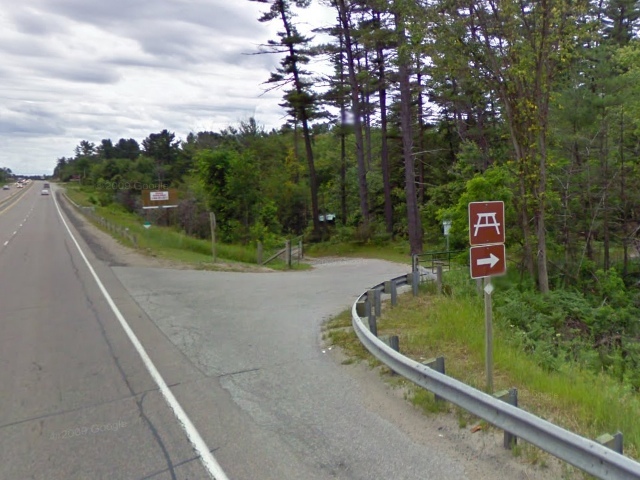 The road was completed to the site of Bracebridge by 1861 and the adjacent bushland formed into the townships of Morrison, Muskoka, Draper and Macaulay. Thank you so much for this site. 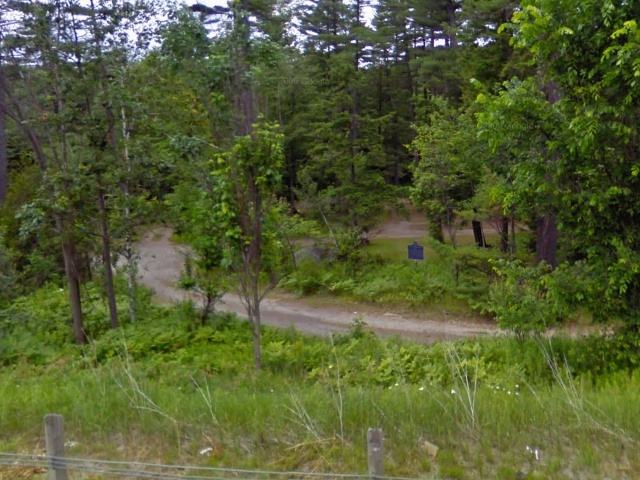 I was returning today from North Bay to Sutton and spotted the plaque down in a forested area as I sped by on the highway. 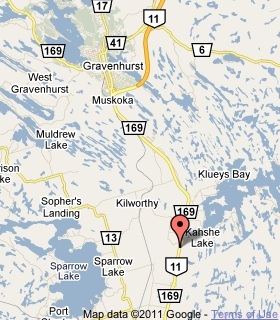 I noticed it said "Muskoka Road", so I decided to look it up when I got home. Thanks for answering my questions about the plaque. Hopefully, I will be able to return to that site and take a closer look one day.